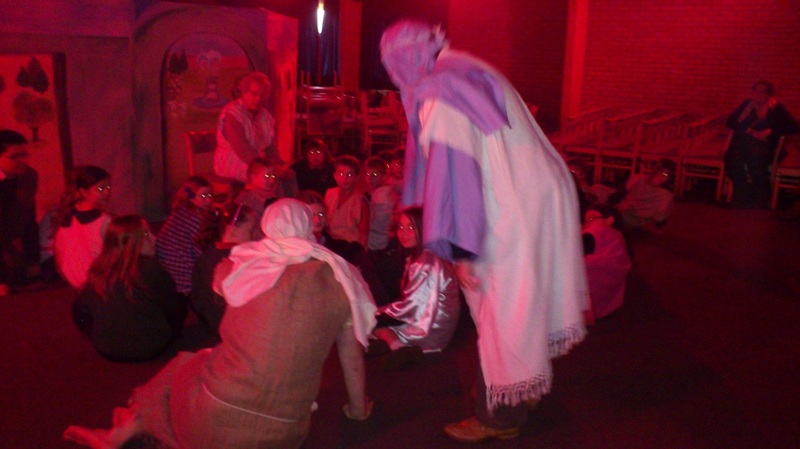 The work of Agathos presently focuses on offering support and programmes to the two Secondary Schools in Mold, the Alun School and Ysgol Maes Garmon, and their Primary Feeder Schools. Our Primary assemblies are mostly from the 'Open the Book' series, which present Bible stories using drama, props and costumes and regularly see pupils dressing up and getting involved in the storytelling. 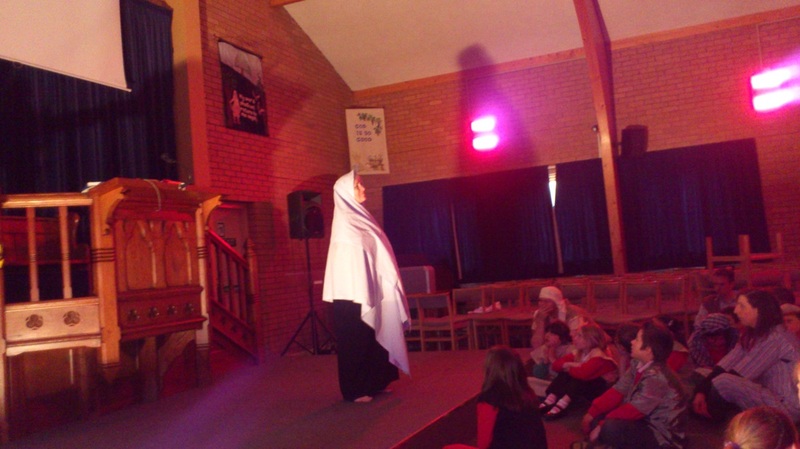 With support from dedicated volunteers and church workers, Agathos delivers regular 'Open the Book' Acts of Collective Worship (Assemblies) in ten Flintshire Primary Schools, some weekly, some every fortnight or a little less. 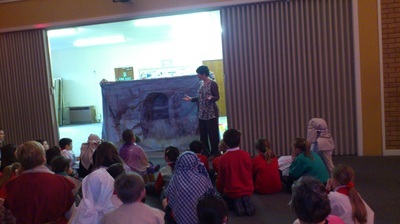 Other support offered to local Primary Schools include lessons by request and regular Special Events. 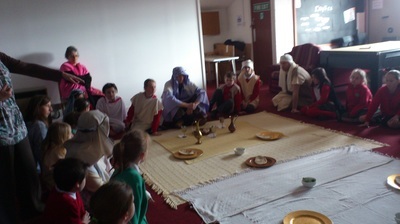 For several years we held an Easter event at Ebenezer Baptist church in Mold, which was attended by local Year 5 and 6 pupils. 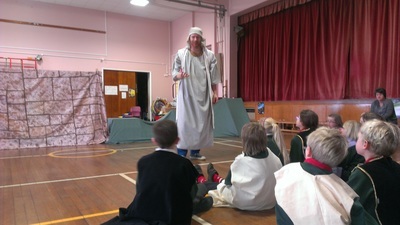 Over the last three years we have taken a team of volunteers on the road to bring the Easter story to life for a few schools with Key Stage 2 classes taking part as citizens of Jerusalem. 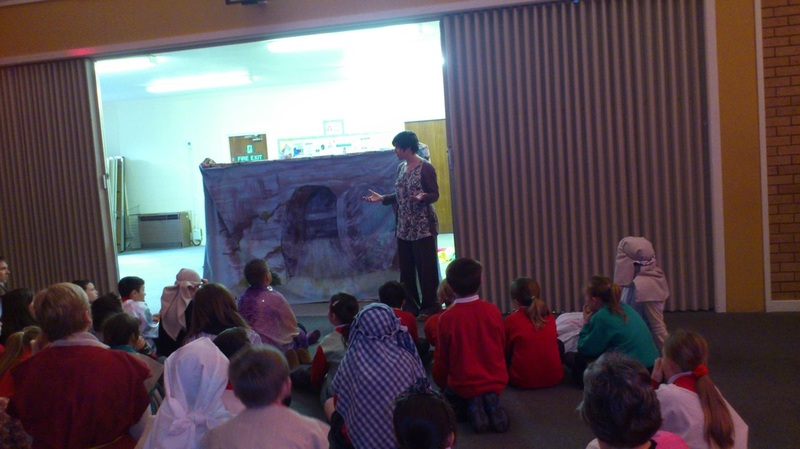 We've taken the 'Explore Easter' event to all our 'Open the Book' schools, and also to Sychdyn CP School, Ysgol Gwenffwrd and Ysgol Bryn Tabor, Coedpoeth in partnership with Mrs Lowri Mitton of the PCW, who leads an Open the Book team there and partners in much of Agathos' Welsh language work. In the Summer term, school leavers often help with our Year 6 transition work 'It's Your Move', held in the last week of term, which gives pupils chance to air any niggling concerns and look forward to the adventure that lies ahead. 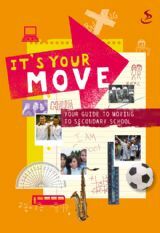 Each Year 6 pupil we work with receives a copy of the Scripture union book 'It's Your Move', which has proved popular for years with pupils, staff and parents. In the Secondary Schools, Wendy and local church Youth Workers lead a variety of lunchtime activities, Acts of Collective Worship most terms, lessons with the RE and PSE Departments and offer Pastoral Support as needs arise. 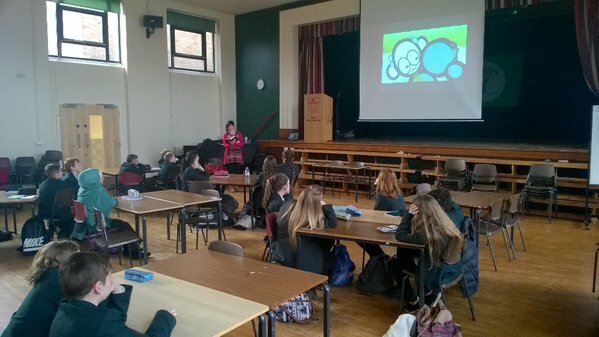 At Ysgol Maes Garmon Wendy has led RE lessons with Year 7 about how Christians use the Bible today, and another in more detail at the Parable of the Lost Son. A visit was also arranged by a Christian theatre company to run RE workshops with Year 10 pupils.